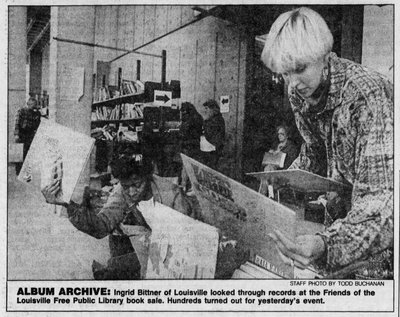 The Friends of the Louisville Free Public Library had its beginnings early in 1977 when the Library's Board of Trustees asked Carol Layne to head a Steering Committee for those interested in such an idea. 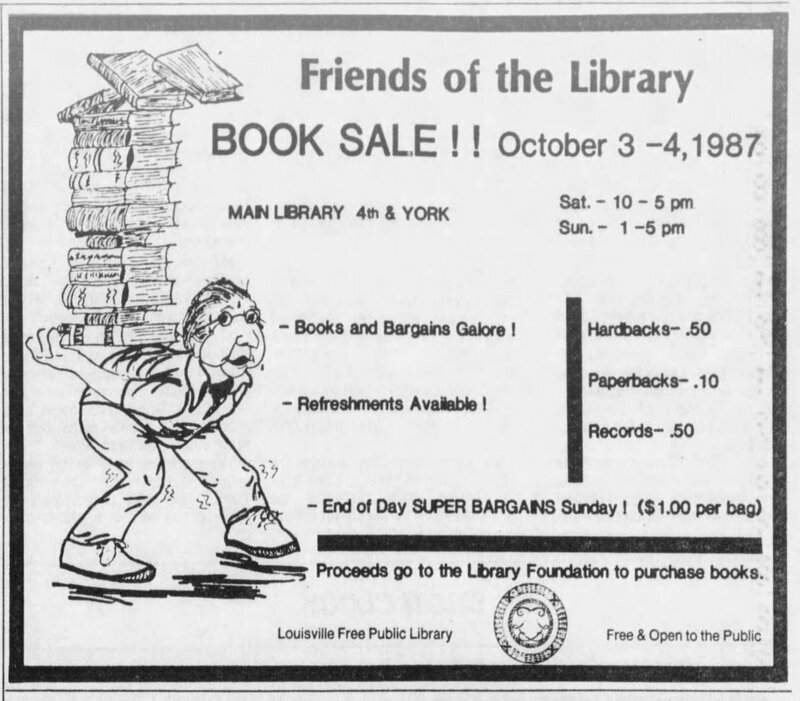 The Articles of Incorporation of the Friends were adopted on November 14, 1977, and the original copy was filed and recorded in Frankfort, Kentucky, on November 15, 1977. The Friends of the Library enjoyed a prosperous beginning. 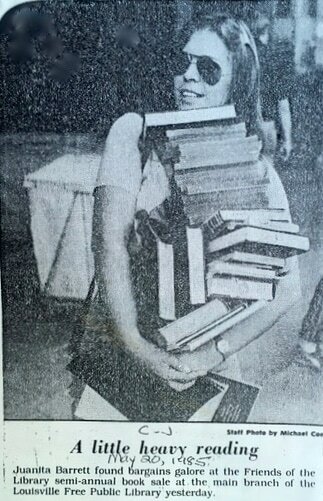 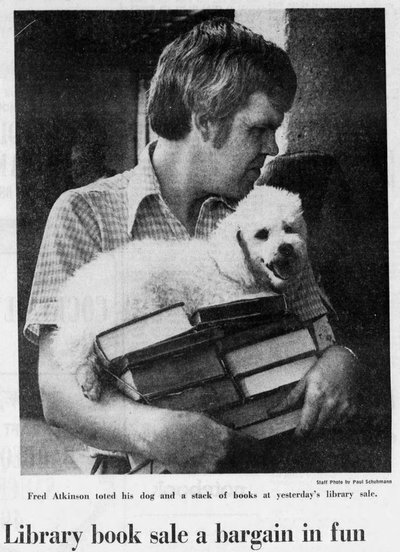 Just a few months later, in May, 1978, the Friends took over the Library’s book sale. 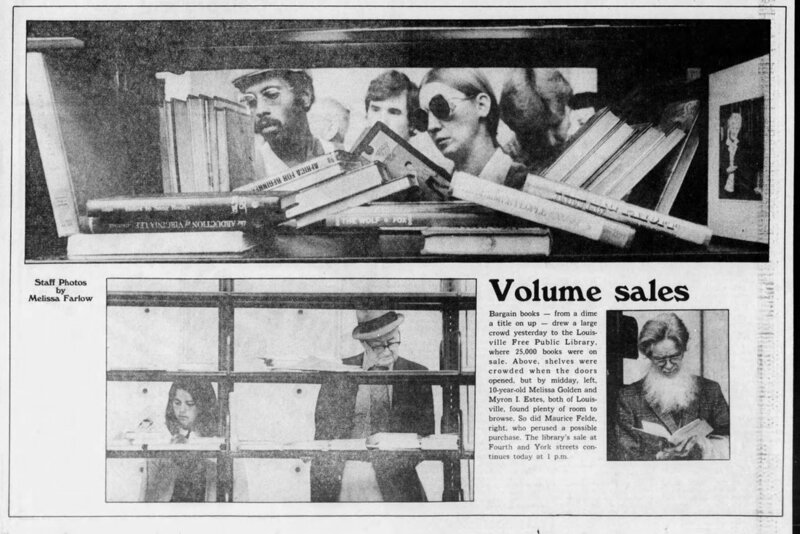 It grossed $9,835.51- over $2,000 more than the previous sale. 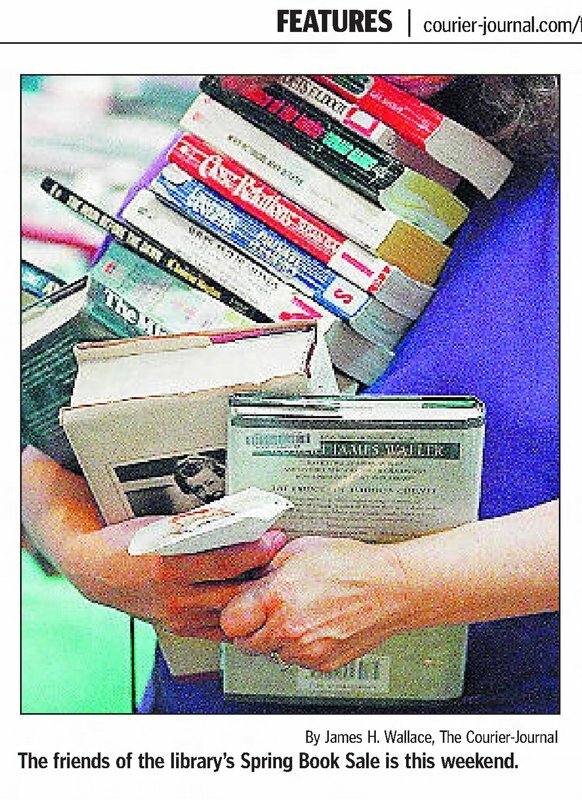 “We sold more than 10,000 books in the first two hours,” said Nancy Jones, chairman. 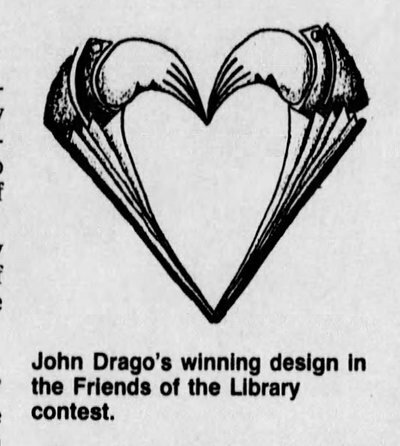 ​A stork holding a diaper full of books and carrying a message, “We have a new baby … ” was the poster design chosen by the Friends to promote their first membership campaign in January, 1978. 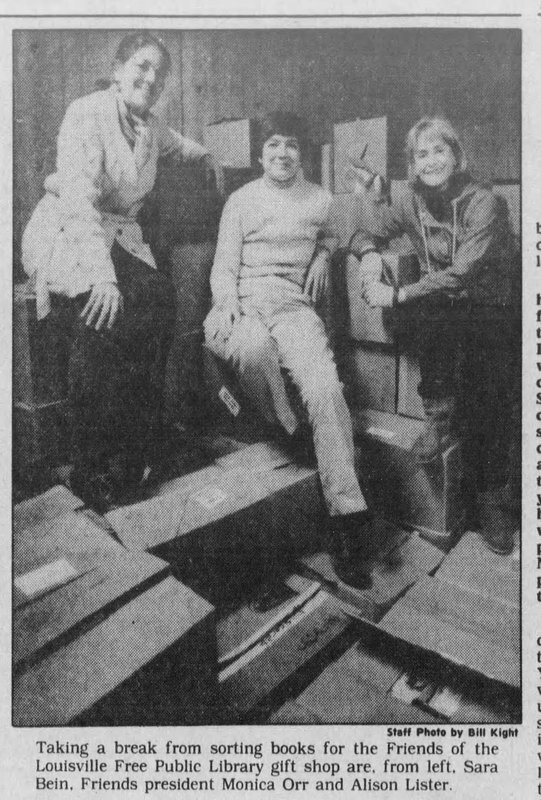 The Friends mailed over 15,000 letters and advertised in several local newspaper. Memberships cost $2 a year for individuals, $1 for students and senior citizens and $5 for a family. 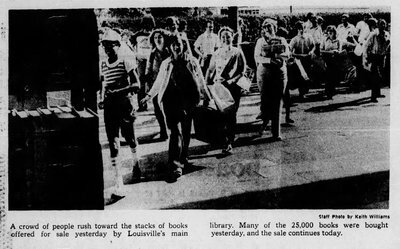 By July of that year, the Friends had more than 1,200 members, and in September the Friends gave birth to another new baby, their Bicentennial Book. They published Louisville 200: Reflections of a City, as a salute to Louisville’s bicentennial. Inside the 80 pages are accounts of Louisville’s first Christmas; boarders in the early hotels; the end of the Civil War; the coming of electricity; and other events in the life of Louisville. 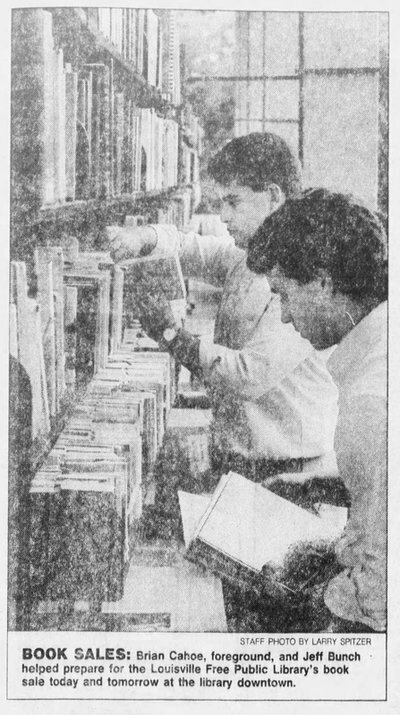 The book was edited by Wade Hall, then Humanities Chairman at Bellarmine College, and Nancy Jones, Friends’ chairman, with assistance from Library staff and Friends members. 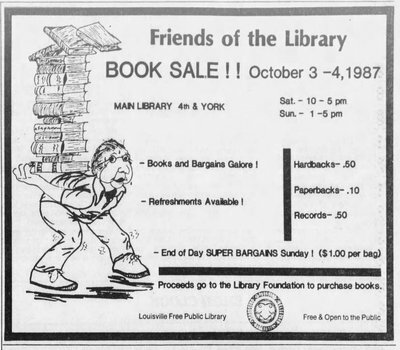 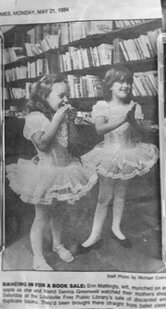 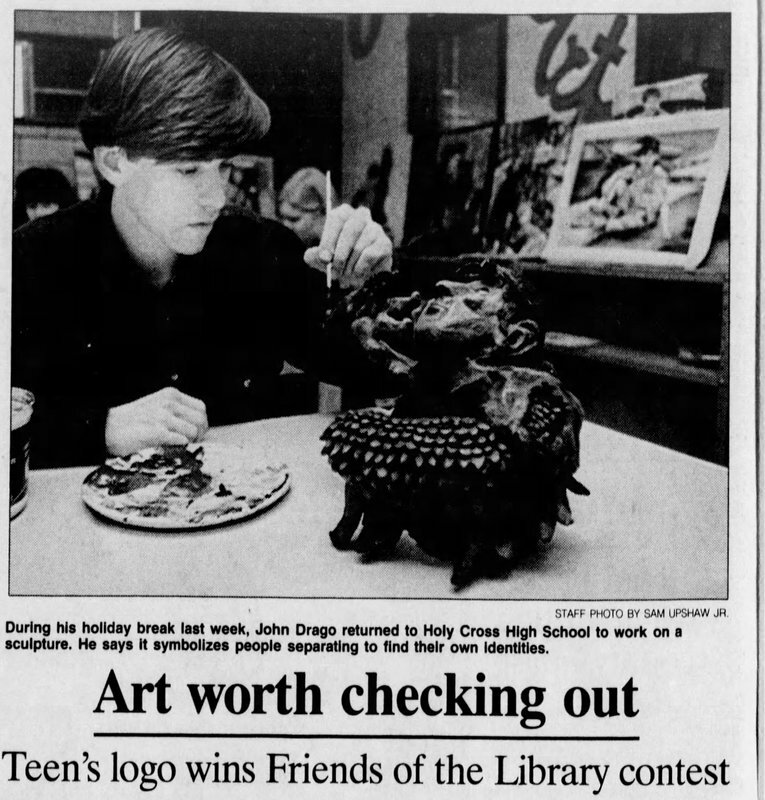 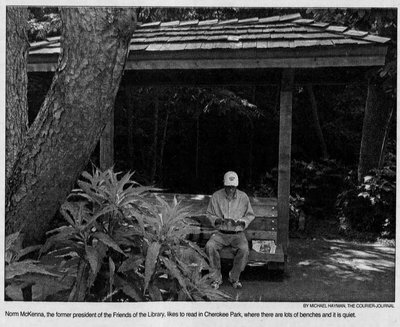 ​During the 1980’s, the Friends launched several new community events including the Children’s Holiday Fair in 1984 and the Kentucky Author Dinner in 1987 honoring renowned Commonwealth writers. 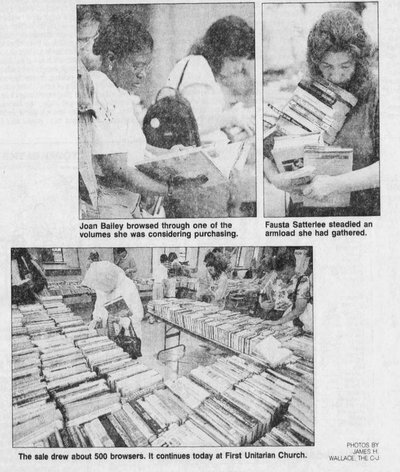 Not only have they provided great activities for authors and children, the Friends have donated thousands of dollars to improve Library departments and branches. 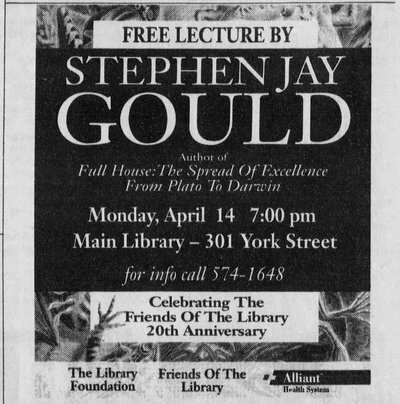 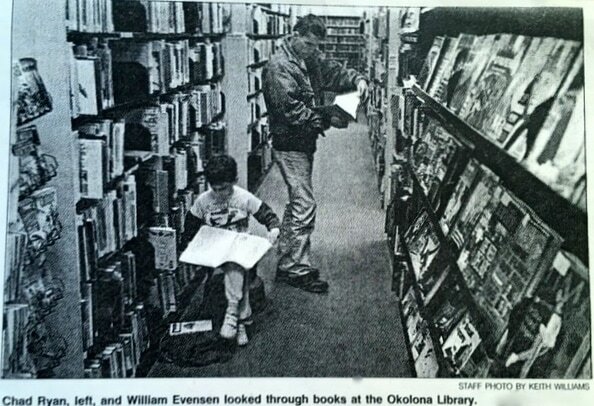 Beginning in 1991, the Friends presented $1,000 to each branch for Library improvements, $10,000 to buy books for the Children’s Bookmobile, and $15,000 for the Preschool Reading and “Books For Babies” program. In 1996, the Friends donated $10,000 to The Library 2000 Campaign for the purchase of information access tools and technology upgrades. Branch gifts were increased to $1,500 and the Friends became the sponsor of University Hospital’s “Read Baby Read” program, stressing the importance of reading and parent involvement. ​In 1997 Friends President, Norman McKenna, started a pilot program, “On Writing Well”, a series of talks and workshops free to the public. Featured speakers included Stephen Jay Gould, paleontologist, evolutionary biologist, and science writer from Harvard University; William Zinsser, renowned writer, editor and literary critic; Rochelle Riley, C-J columnist; Ronni Lundy, Louisville Magazine editor and author; Roberta Brown, local mystery writer and educator; and Byron Crawford, C-J columnist and author. 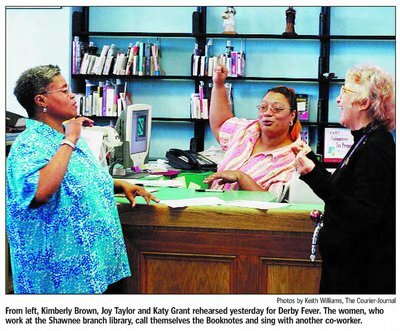 ​In 2010, the Friends played an integral part in the success of the Public Library system. 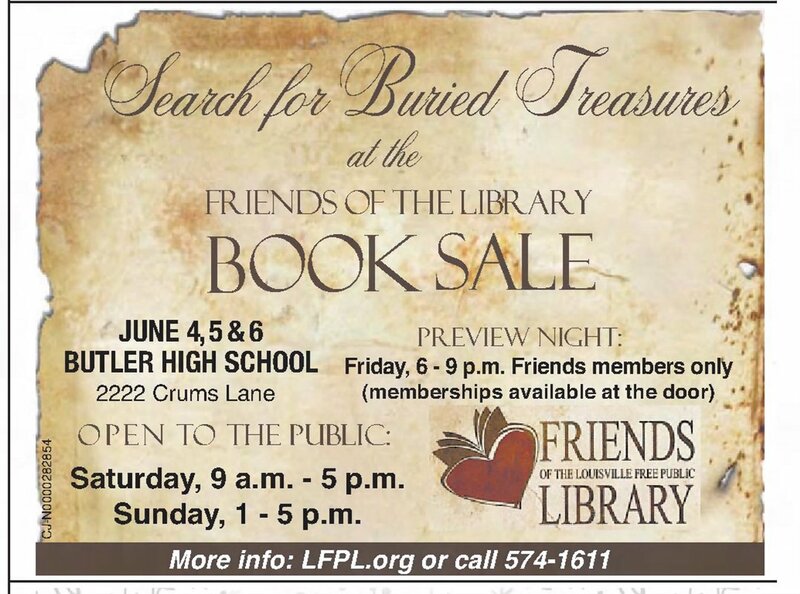 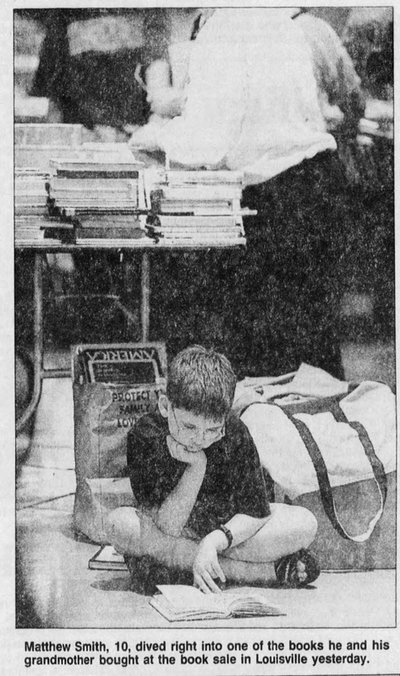 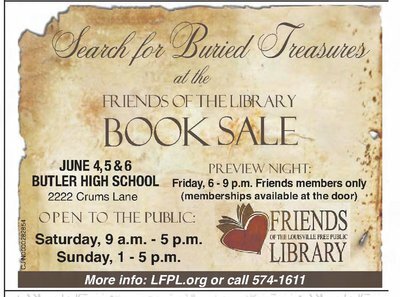 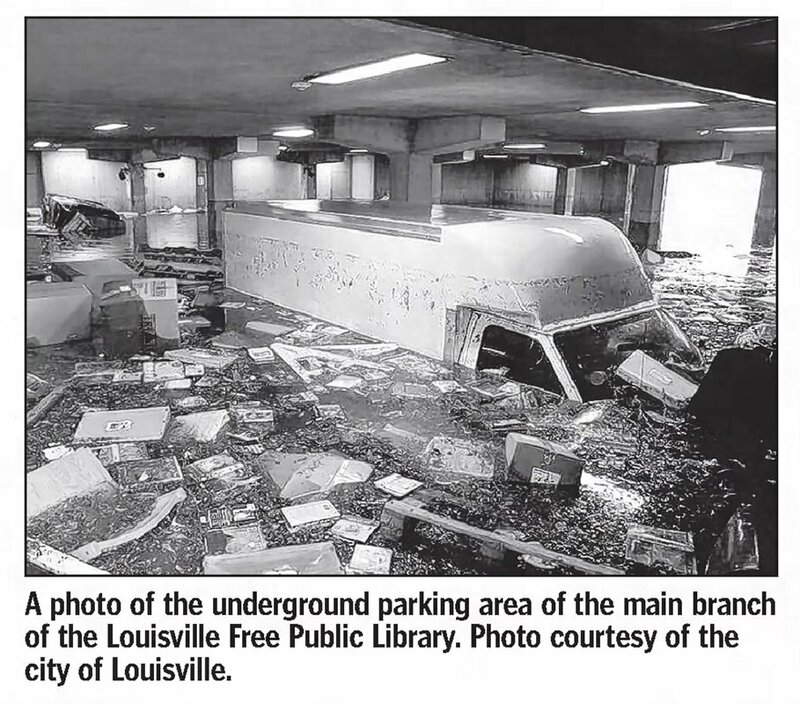 When natural disaster struck the Main Branch causing major flooding in August of 2009, the Friends lost all of their books for the upcoming Fall Book Sale and had to cancel it. 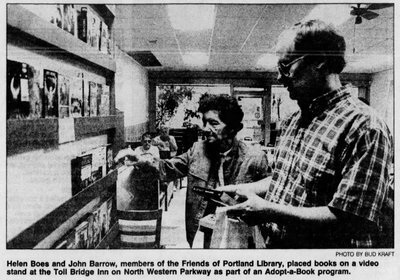 Fortunately due to smart oversight by the Executive Director, Craig Buthod, the Friends received insurance money that provided funds for the group to continue to support its mission. 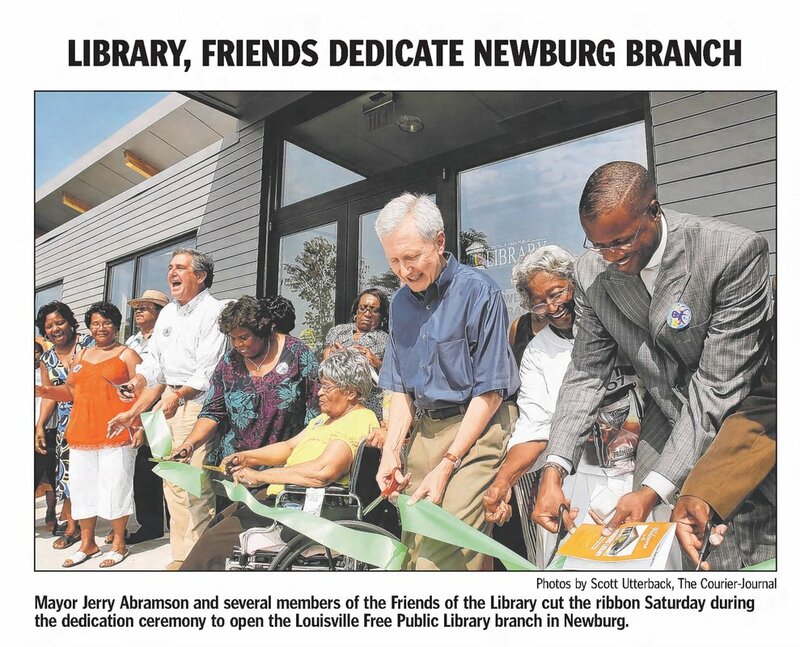 In return, the Friends have been able to contribute to the restoration of the Main Branch to show a continued partnership.